Died 8 Jan 1932, at Elkhart, Morton, KS. 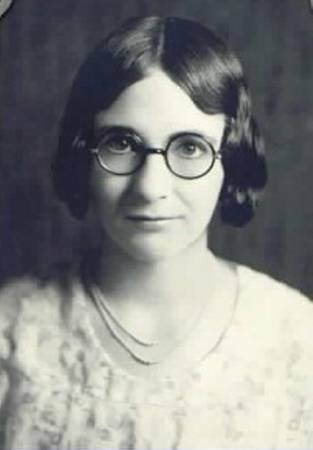 Vera was born after the family moved from Missouri to Cimarron County, OK. When she was one month away from her 16th birthday, she developed pneumonia after a bout with the flu. It was in the middle of winter and a blizzard was in progress. By the time the blizzard cleared to the point that the family could get her to the hospital, it was too late for her to recover. She lived a few days in the hospital. Burial: Elkhart Cemetery, Elkhart, Morton Co., Kansas. Cause of Death: Pneumonia after complications from the flu.